“Where are the African American and Latina Mark Zuckerbergs and Cheryl Sandbergs?" That seems glib. But truth comes best in a simple package. The digital divide is real. Millions of brilliant, creative thinkers are still left behind, because they don’t have affordable access to the Internet. So what can we do to change this paradigm? We can go mobile. Mobile technology has changed our world. Those of us who are already part of the mobile revolution know this innately: to be without our smartphones is to be isolated. It’s standing in a field, watching the train flash by. It’s trying to find a book in the dark when others are holding flashlights. But we’re not done yet – not until we’ve brought that change across the digital divide. We know what it means to be connected. And we know that to fully bring change, we have to bring that connection to the populations who today may not have access. Mobile tools don’t work when you can’t get to them. This issue matters more than ever because being “unconnected” now means so much more than not having the chance to stream Netflix or send tweets. It means being unable to access the myriad of business and entrepreneurial opportunities that exist across today’s vibrant technological landscape. It means not having an on-ramp to healthcare and educational information that could transform or save a life. It means being stuck in the 20th century at a time when the 21st century economy is finally kicking into high gear. Imagine someone who isn’t connected or someone that has a mobile device, but can’t access more online data because they exceeded their monthly allotment. For them, free data could be the key. Free data is an offering that allows you to use more mobile content without having to worry about exceeding your monthly data allotment. This leaves more data to use on other things like social media, and gives you the option of switching to a lower cost plan, if you have too much data left over, because the content you love is covered by free data program. It’s expanded opportunity at no cost. If you see that you can watch an unlimited amount of video as part of a plan, then that might just be enough to entice you to cross the digital divide. And once online, you’ll inevitably use your mobile device to explore the web, allowing your device to be the transformative tool that it can be. Until we get people online, they may not know the resources on which they’ll build. Creators and innovators need access to the Web to connect with others and to expand their world. Indeed, our embrace of mobile innovations like streaming media and free data can serve as the light we use to illuminate the world around those who remain in the digital dark. Dr. King’s vision of a “world-wide brotherhood” comes from those connections, those ties that grow a fully empowered and engaged community that refuses to let any more opportunities pass us by. Our vigilance and advocacy will build the momentum we need to close the digital divide once and for all. Join me in this monumental task and be #MobileLikeMe. 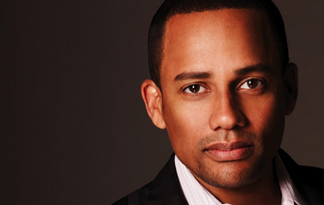 Hill Harper is an American Film, Television and Stage Actor, and Author.